Here you can find LG AKA firmware and other useful information about this interesting smartphone. First, LG released new smartphone LG AKA in Korea. Then the manufacturer launched international shipments. The main features of LG AKA phone is its design. The front panel of the smartphone is partially closed by the protective panel that is pushed down. The upper part of the display remains open. It displays the eyes of a virtual character, which can have a different expression depending on some events and user actions. There are four virtual characters available, each with its own individuality: Eggy (in the yellow case) often falls in love; Wooky (in white case) is impulsive; Soul (in a black body) is sympathetic and loving music; Yo-Yo (in the pink case) is constantly on a diet. The characters can not only "shoot the eye", they are integrated into the wallpaper, widgets, ringtones. Users can additionally personalize their smartphones with stickers, marks or drawings. And for the characters you can use different glasses and eyebrows. Thanks to Art Toy function, the user can take a picture of any figure and create an animated digital 3D version for further use in the smartphone. Before we move on to LG AKA firmware, let’s recall specifications of LG smartphone. LG AKA is equipped with 5-inch display with HD resolution and a 4-core processor running at 1.2 GHz. User has 1.5 GB of RAM and 16 GB of built-in flash memory. If necessary, the internal storage can be expanded with microSD memory card. The main camera, located on the back panel, contains an 8-megapixel sensor, LED flash and laser auto focus system. 2-megapixel camera is available on the front panel. LG AKA smartphone works in 4G LTE networks. The capacity of the complete removable battery is 2610 mAh. As the operating system is used Android 4.4 KitKat. As we said ealier, LG AKA was previously available only in Korea. But now you can buy it in Hong Kong, China, Taiwan, Singapore, Turkey, and many other markets. 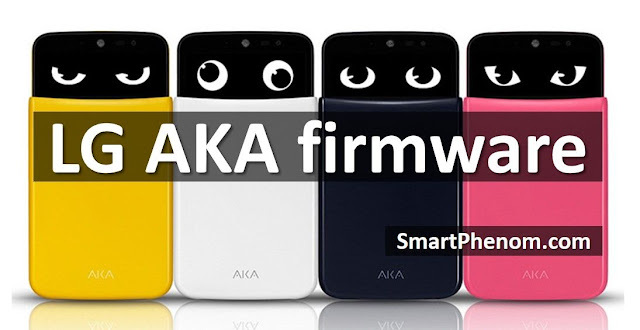 If you already have this smartphone, then you may be interested in LG AKA firmware. Click on the link below to download the latest version of LG AKA firmware, as well as tutorial for installing it. Thank you for visiting our website! Write in the comments below if you have any questions about the topic LG AKA firmware.